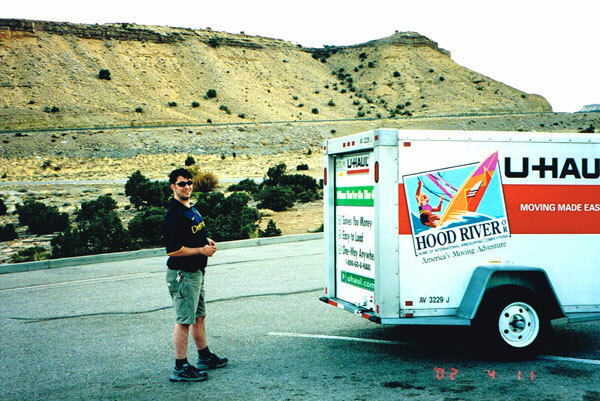 Do you remember your first real road trip? How did it turn out for you? I remember mine. It was shortly after my high school graduation. My girlfriend at the time was working in the Hamptons. I was a fool in love, and convinced my parents to let me drive from our sleepy town in Central Pennsylvania out to the far end of Long Island, solo. 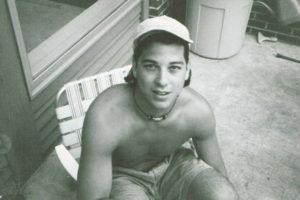 I was then going to swing down to visit my cousin Chris in the southern part of Pennsylvania. It was pretty ambitious for a first solo venture. A fool in love, ready for his first road trip. I made it out to Bridgehampton ok. Despite my girlfriend’s mother not being too fond of me, we had a good time. The problem came when I was driving down to my cousin’s. I had visited them a lot down the years, but I’d always gotten their from my home, usually driven by my father. I never thought about the fact that I’d be coming at it from a completely different direction, and I’d be doing all the navigating. I hadn’t mapped my route out. In those pre-cellphone days, I couldn’t just call Chris up and ask for directions, let alone punch an address into Waze. I had to stop a few times at gas stations, drop a few quarters into a pay phone and read a proper road map. That was brutal. When I arrived 3 hours late, he really let me have it. That’s what older cousins are for, right? It’s not enough to know where you want to go. You need to know how you’re going to get there, and what you’re going to do once you arrive. All of that impacts how much you’ll spend, and what you need to pack. That takes research and planning. Starting a business is an exciting time. You know what you want to build, and your enthusiasm drives you forward. You develop a plan, a budget, then just roll up your sleeves and do what needs to be done. But at some point, you’re likely to venture into unknown territory. For many, that point is when they realize they need to reach and convert a larger target audience. And let’s face it – most people aren’t born marketers. I frequently hear that business leaders want to push the needle with a marketing burst, and generate new leads for their sales. With large advertising budgets, you probably can generate a lot of leads quickly. However, the cost per conversion will be high. It’s like missing your road trip departure date and deciding to buy the next available flight to said destination. You can probably do it, but it’s gonna cost you. The Beatles said it best: Digital marketing is a long and winding road. And there are no inexpensive shortcuts. The good thing is that you are not alone. When you know where you want to go, you just need a road map to help you on your way. 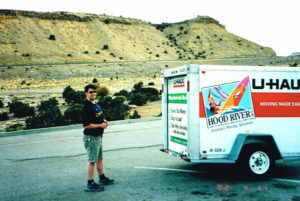 In 2002 I packed my gear in U-Haul and headed cross-country. Yes, I had a map. Greatest road trip ever. Your personal digital marketing road map will be unique to where you want to take your emerging business. But there are some crucial elements that can’t be overlooked or skipped. Research, research, research. So much planning and research has gone into getting your business to where it is already. No one wants to conduct more research. But you have two invaluable sources of insight – your clients and your competitors. Take the time to learn from them. Develop buyer personas, and target them. It’s a bit like talking to a friend who’s been to that city before who can give you the low down on places to stay, eat, see a band, or whatever else drew you to that destination in the first place. The right message. This is important, and is the ancillary benefit to doing good research. Deliver a message (and hopefully a product or service) that resonates with your target audience. This is akin to knowing what you expect from your visit. If you’re a music fan, you might be headed to Austin to soak up the live music scene. That’s a whole lot different than New Orleans for Jazz Fest. Both promise great live music, but there’s quite a difference between the two. The right content, delivered in the right places. This is another ancillary to research. (Are you beginning to understand how important research is?) Content marketing holds so much promise, but you need to provide helpful, insightful content in the right places, or else you’ll never reach, engage and convert your audience. Right time, right place, right content. The right technology. One of the alluring things about digital marketing is that technology has placed powerful marketing tools into the hands of just about everyone. However, choosing the right tools and having the ability to use them are important. Cost and ease of use are just two considerations. Turnpike Digital is a SharpSpring agency partner because they provide a powerful, easy-to-use tool at a very good price. There are cheaper and more expensive solutions, but after years of using technology, this is one that I stand by. Two examples: If you’re going out on fishing trip to Montana with boys, hiking into a remote region, it might be good to have a satellite phone. That would be good technology to have. Alternatively, you consider renting a 35 foot RV for for the trip because you found a great deal. You’d arrive in style, but can you drive and park that behemoth? Just asking. Measure and improve performance – The final point I’ll make is that with digital marketing tools, you can look at your performance indicators, or KPIs, and adjust as you go. Just like checking the dashboard on your car, you don’t want to run out of gas before the next exit, and you don’t want to get a speeding ticket! Or you might hear from the friendly waitress that the local state park has some great scenic hikes – you may want to take a detour to check it out, but you have the map in front of you to help you determine if you’ll still reach your destination. When I decided to write a blog, my approach was simple: I will write about developing marketing road maps. I have clients in a range of stages, from just starting out with an engagement with Turnpike Digital to newbies who are just getting started. My experiences helping them will inform what I write. If you stick with me over the next year, you will learn what it takes to create your own personal road map to digital marketing. I want to make this the best road trip ever. So if you have any suggestions, please write to me – I want to know what you want to read about. And if you need a partner on your road trip, give me a call. I love a good road trip.